Perkie's Observations: Would Sonny Really Have KILLED Carly on General Hospital? Ava denies being Franco’s shooter and tries again to put the blame on Carly. Franco points out Sonny won&apos;t be happy Ava shot Olivia, but she claims she did nothing wrong. Ava wants them to get ELQ and says she wouldn’t want him dead. Tracy tells Lulu and Laura that Luke is gone and she doesn’t know where. Lulu thinks Tracy is covering for Luke, but Tracy swears she was the one having tests done and she’s fine. Laura warns Tracy if she’s covering for Luke, she’s making a mistake. Liz tells AJ she’s not sure if she can trust him. He has the ability to hurt her, but she’s made so many mistakes. She says she knows he isn’t the same person he was. AJ asks if she’s forgiven him. Liz says she wants to try again. The two kiss and AJ promises no more mistakes. Liz says she’ll make sure Nikolas leaves them alone. Connie wants Olivia to move in with her when she’s released from the hospital, but Olivia says Sonny already offered to help her. Connie insists she should be helping since she’s family. Olivia doesn’t want to put her out. Olivia wonders if Connie is sorry she let Sonny go. Connie doesn’t know if she’s ready to be whole and says she’s fine with Olivia staying with Sonny. Sonny tells his men to get the house ready for Olivia. He&apos;s still angry with Milo for meddling in Lante’s marriage. He feels Milo wasn’t being loyal to him. Max sticks up for Milo, saying his brother made a mistake. Carly stops by, wanting to know if Sonny would have gone through with his threat if Olivia had died. Carly says they always had each other’s backs through everything and always loved each other. What went wrong? Sonny says he wants Carly in his life, but she needs to understand she broke his trust and can’t cross that line again. Carly apologizes and the two hug. Carly tells him Morgan is at the Q mansion. 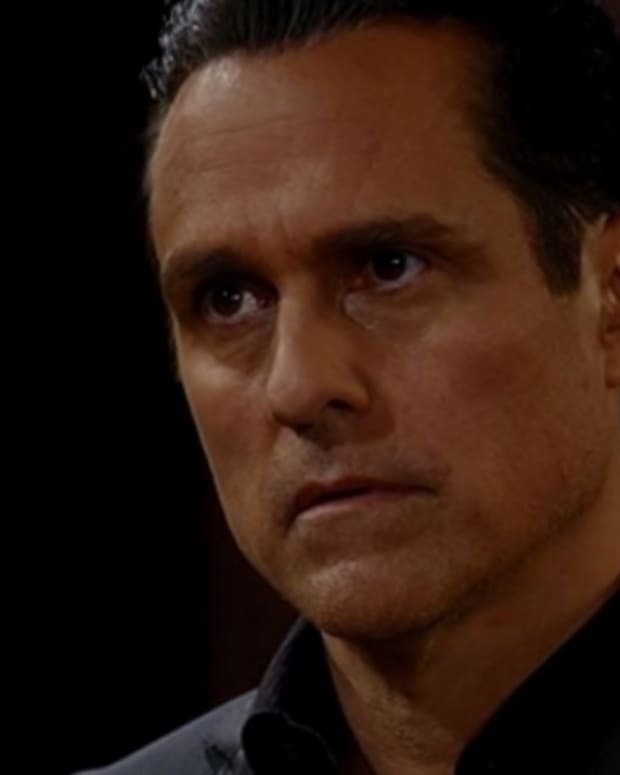 Sonny promises to deal with Franco. Nikolas deletes the phone message. Lucy wants to make him an offer regarding Deception. She mentions Laura is working with her. Nikolas agrees to read over her portfolio. Liz stops by to tell him she and AJ are back together. Milo tells Max he isn&apos;t happy working for Sonny anymore and wants something more. Lucy tells Milo she thinks she’s found something for him. Ava wants Franco to join her in his room,since they&apos;re trying to convince Kiki and everyone that they’re together.